← Join our Affiliate Program! Did you know we have a Diamond Trade-Up program? Any single diamond purchased from Jewelry Warehouse is eligible for our diamond trade up program. This program simply means that at any point after you purchase your diamond from Jewelry Warehouse, you may trade your diamond up to one of greater value. You can trade up to a larger size diamond, a diamond with a higher quality, or both. If you wish, you may even change the shape of your diamond. You will receive 100% of your original purchase price towards your upgraded diamond (less original shipping if applicable). The trade-up purchase must at least be in the amount of the first purchase price plus $100.00. For example, lets say you purchased a .20ct round diamond from us and would like to trade it in for a .25 ct round diamond…You paid $200 for your stone and the stone you want is $300. You would give us your stone and $100 (plus tax). 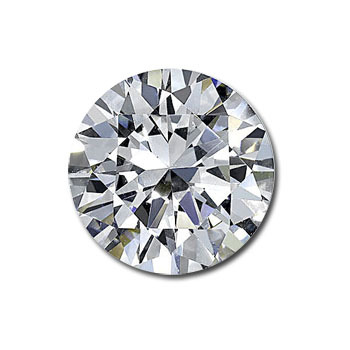 When you purchase your diamond at Jewelry Warehouse, it will NEVER lose its value, because by shopping with us you invested your money in high quality diamonds that have been through our hand selection process. We allow upgrades on loose diamonds, diamond solitaire engagement rings, diamond solitaire pendants and diamond solitaire earrings. The diamond needs to be in its original undamaged condition and accompanied by its original grading report. If the original grading report has been misplaced, there will be a $200 re-grading charge. Visit one of our four showrooms to see our diamond inventory or give us a call for that special diamond. This entry was posted in Jewelry and tagged daimond trade up program, diamond trade, diamonds, jewelry warehouse. Bookmark the permalink.